Eurodollar is still being corrected; the market hasn’t been able to stay above retracement 38.2%. That’s why in the nearest future the price may resume falling towards the group of lower fibo-levels. 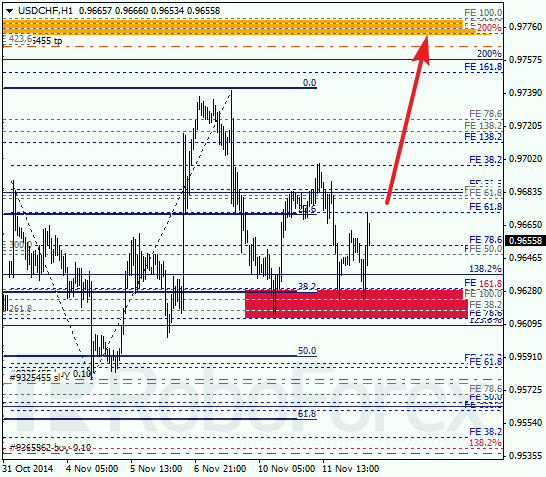 At the H1 chart, flat continues. 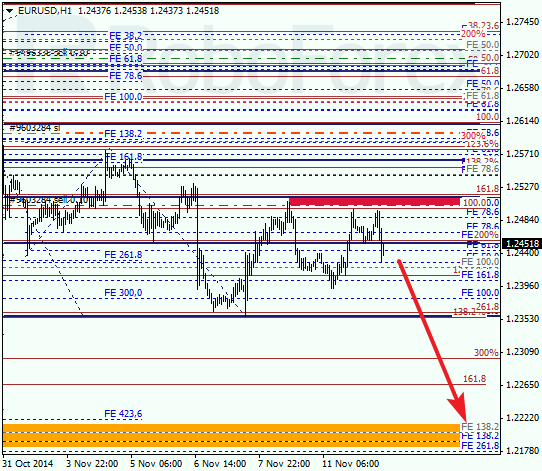 The price has been supported by local retracements. 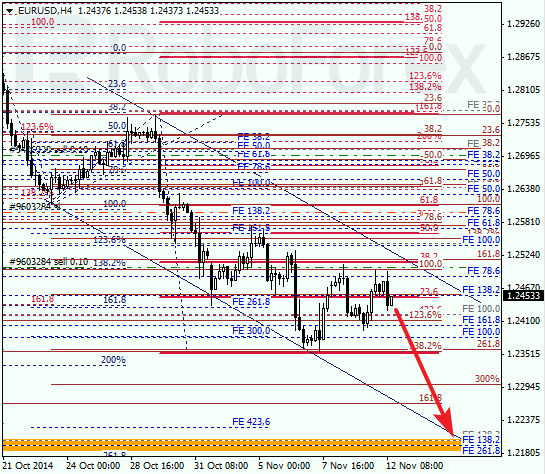 In the near term, the pair may continue falling towards the group of lower fibo-levels at 1.2180 – 1.2200. Taking into account that Franc has rebounded from a local retracement 38.2% several times, we can’t rule out the possibility that the price may finish correction at the current levels and resume growing. The target is still the group of upper fibo-levels. Probably, at the H1 chart the price is completing the current correction. Local retracements indicate that this correction may finish at retracement 38.2%. Possibly, the pair may break the maximum quite soon.